Caption slip reads: "Photographer: Glickman. Date: 3-18-52. Assignment: Missing Van Nuys girls. 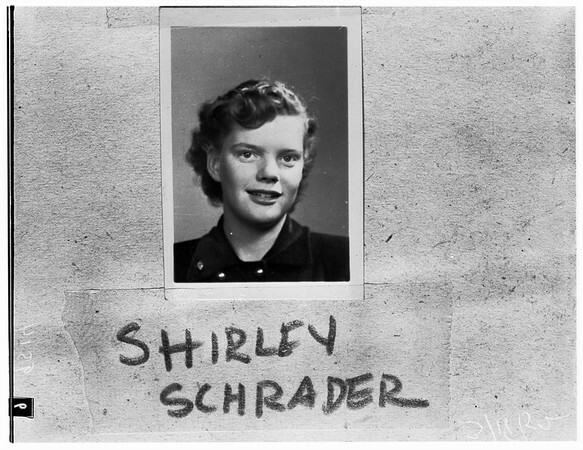 G 9: Shirley M. Schrader. G 10: (with neckerchief) is Glenda Story".